Believe Dream Create with Maria: Carolyn Dube's Colorful Gelli Print Party September! 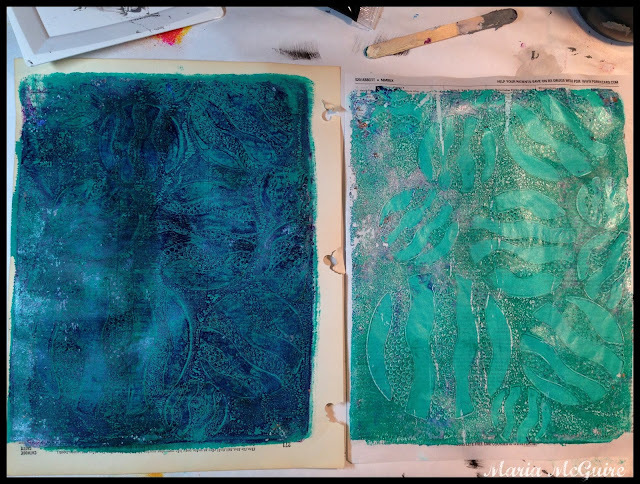 Carolyn Dube's Colorful Gelli Print Party September! I found time to go to the party!! 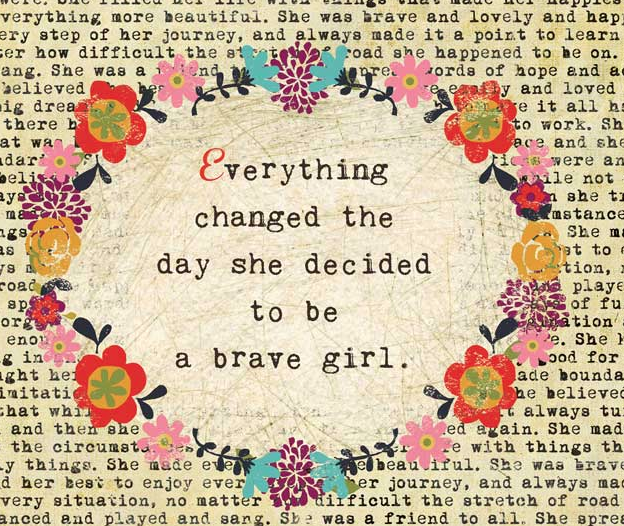 Heck, I even used my own stencil I designed for StencilGirl in it! That's a 2 or 1 deal! 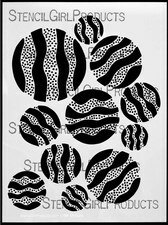 Introducing my Stitch a Circle Stencil from StencilGirl! These two prints plus one (now shown) were my favorite. Now what to do, what to do????? 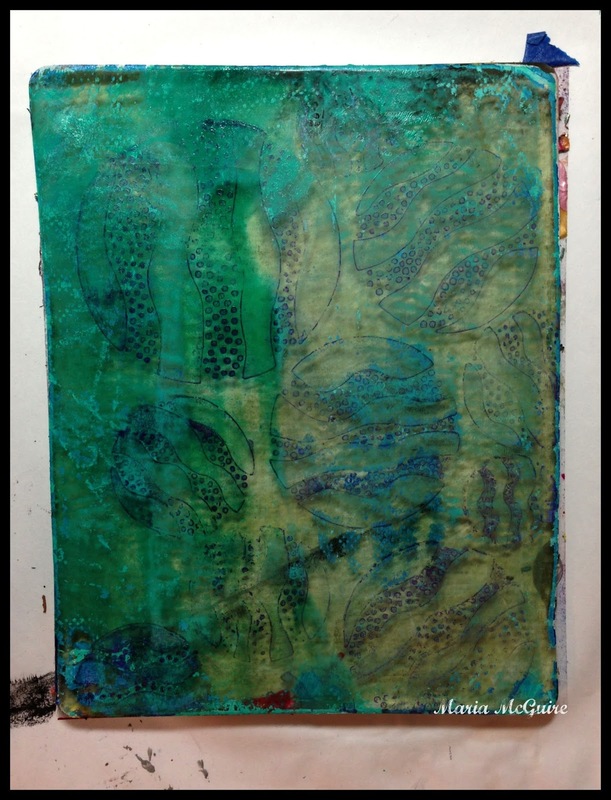 As I did in a previous Gelli Party....I cut the pieces apart and made one! So do you want to come to the party with me??? You can find all about Carolyn Dube's Colorful Gelli Print Party on her Blog!! September's Party is taking place right now! What a gorgeous combination of colors and textures, Maria! 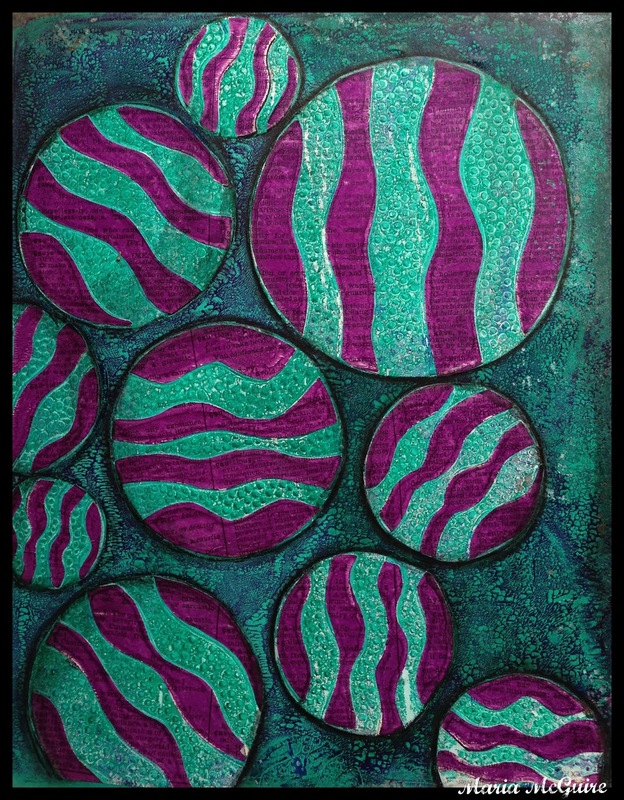 Love that you combined your three favorite Gelli plate prints to achieve this look! Swoon- I am so in love with this!! 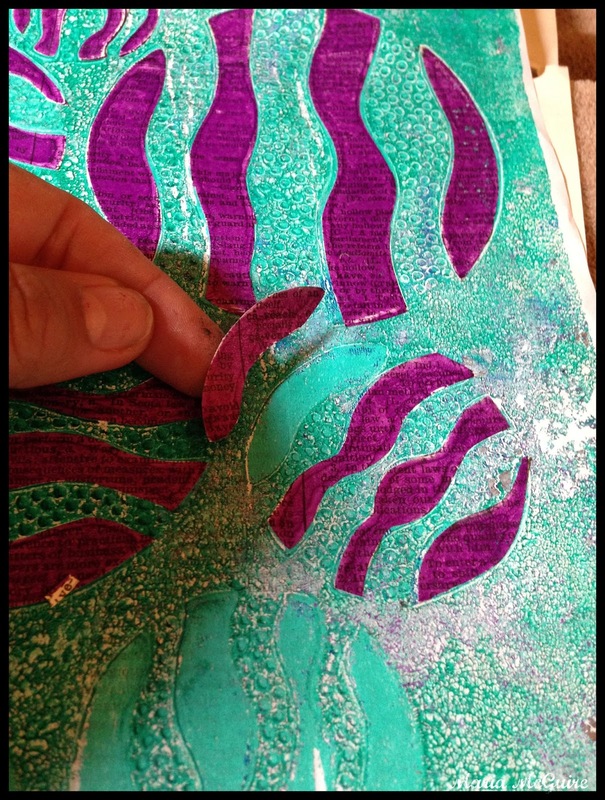 I love how you cut your Gelli prints apart and used it to make a new one! And you colors- they pop big time! You know I love those bits of text peeking through!!! Well, that makes two of us... cuz I'm in love with it too. Color + texture = love. 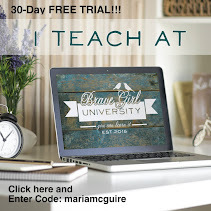 This is stunning Maria! Those circles just pop off the page!